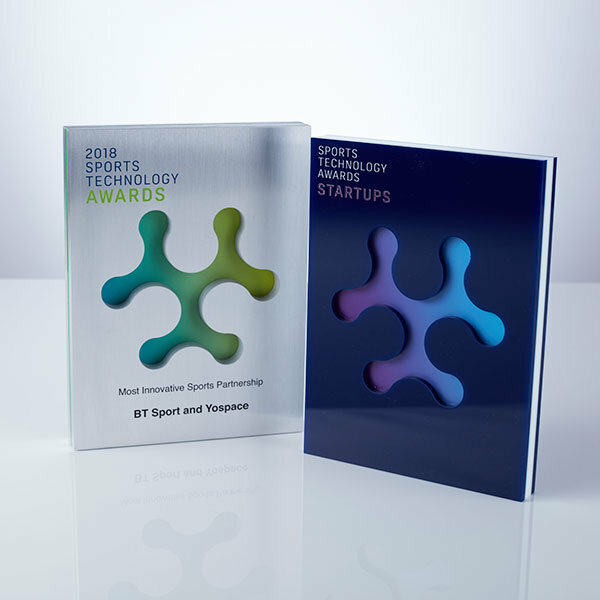 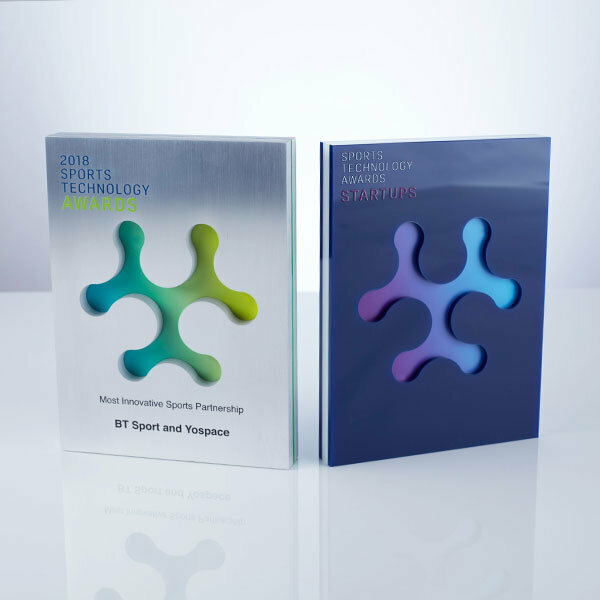 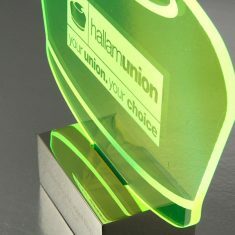 Eye-catching bespoke trophies featuring a brushed aluminium finish, pierced to reveal the event’s green graphics replicated on acrylic. 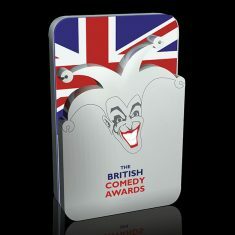 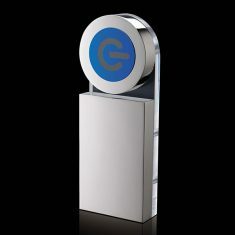 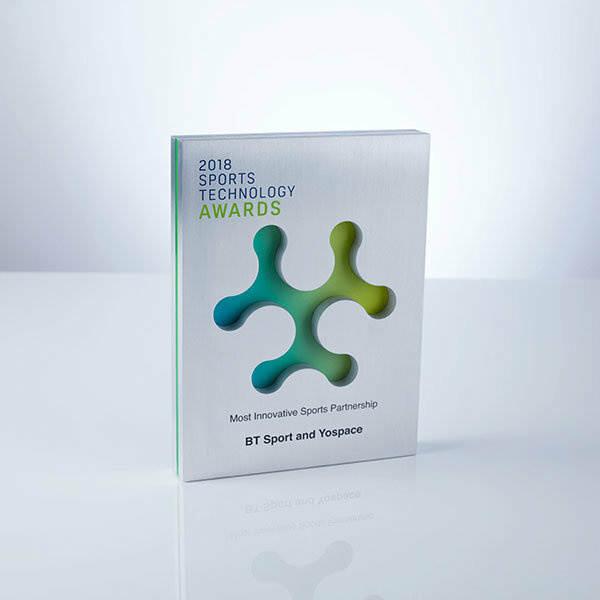 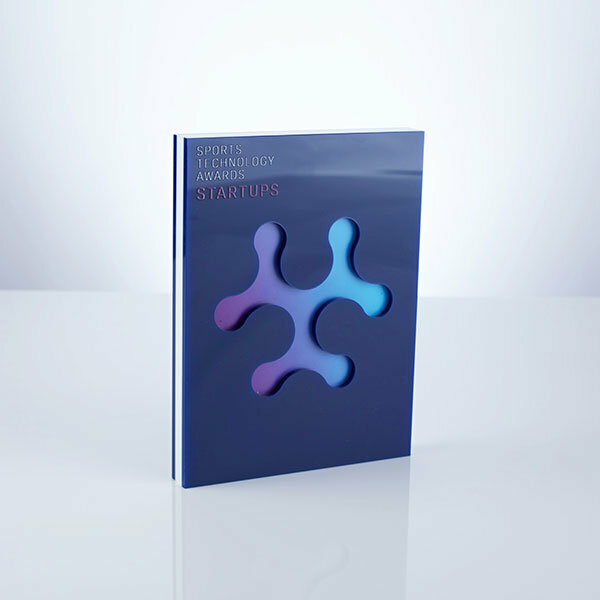 Each award is digitally printed and the winner’s details engraved. 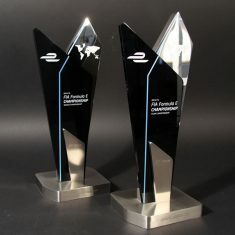 A layered acrylic version was also created for this event.